First Speaking of Dance talk tonight at 7pm! Get some context for this rare visit from Sankai Juku, as Sharalyn Orbaugh talks about butoh and post-war Japan. 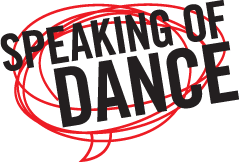 For 2010/11, DanceHouse is thrilled to partner with SFU Woodwards and the School for the Contemporary Arts to present Speaking of Dance. All events take place at SFU Woodwards, and are free of charge. Sharalyn Orbaugh is a professor jointly appointed in the departments of Asian Studies and Women’s & Gender Studies at the University of British Columbia. Her research focuses on representations of embodied states in the literature and popular culture of modern Japan. Her most recent publications include “Emotional Infectivity: The Japanese Cyborg and the Limits of the Human” (Mechademia vol. 3. University of Minnesota Press, 2008), and “Japanese Fiction of the Allied Occupation: Vision, Embodiment, Identity” (Leiden: Brill, 2007). ~ by DanceHouse on October 26, 2010.